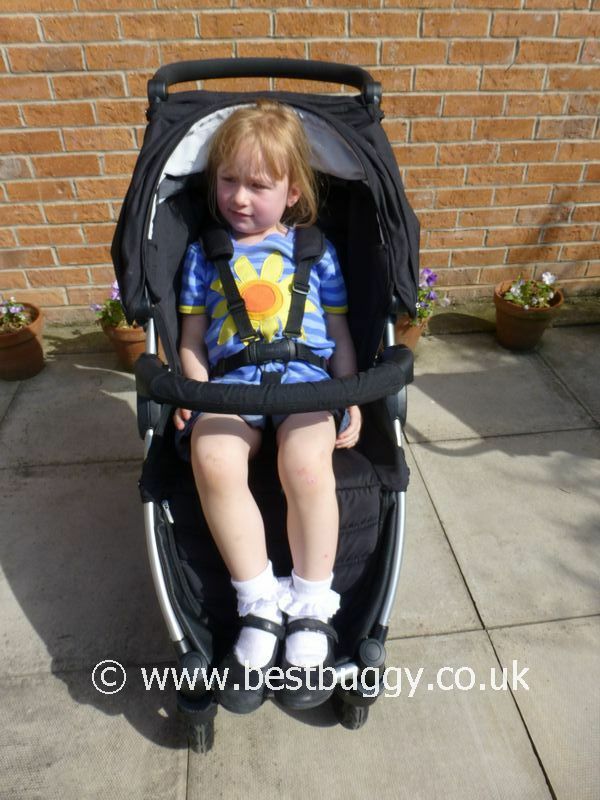 These photos are of our tall (109cms) 4 year 8 month old in the seat of the Britax B-Motion. Whilst, she no longer rides in a pushchair, the Britax B-Motion has a huge seat and as the photos show, she easily fits into the roomy seat. There is plenty of head space for her underneath the canopy. The footrest is wide enough for her size 12 feet, and there is a good knee to footrest length (26.5cms) which is one of the best we have seen here at BBHQ. Her younger brother had chicken pox whilst these photos were being taken, but we hope to add photos of him in the B-Motion seat soon. Hopefully these photos will illustrate that the B-Motion seat is large enough to see your child through until the end of their pushchair using days. There is a good choice of options for a newborn baby – lie flat pushchair seat, car seat, carrycot and soft cot options. With thanks to Britax for their help.